Sometimes my YumVeggieBurger inbox is full of junk mail and spam. Sometimes I get cool letters from people who like the blog and want to recommend a new veggie burger for me to try (thank you!). And one time, I got an email asking if I would be interested in doing a giveaway on my blog for a new vegan cookbook. 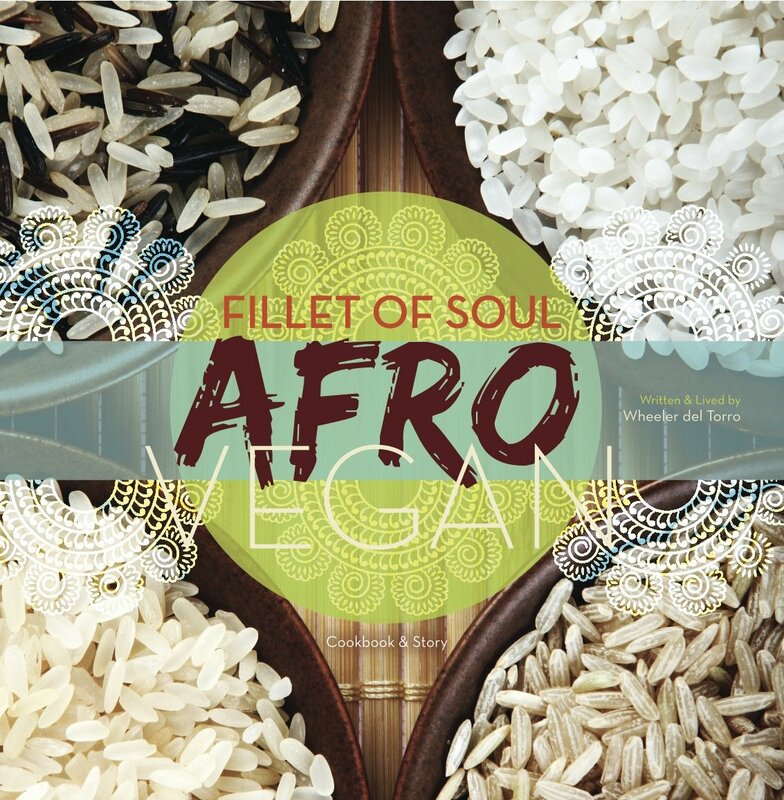 So here's a chance for one of my lovely readers to win a copy of Wheeler Del Torro's new book Fillet of Soul: AfroVegan. Because Wheeler Del Torro is generous, and you guys are awesome. Although it doesn't include a veggie burger, this is a pretty impressive collection of recipes and stories ranging from French to African (two cuisines I am not very familiar with at all! So it was exciting to look through all the recipes for new but delicious-sounding dishes). 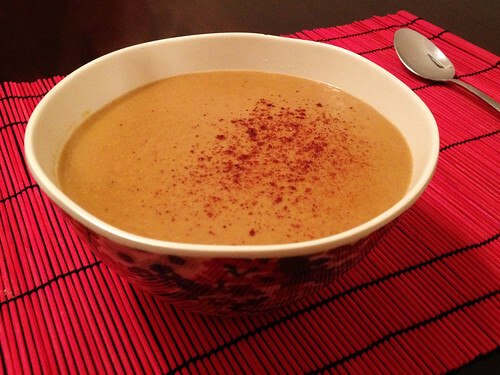 I tried the recipe for Peanut Soup because I'd had a peanut soup from a restaurant in NYC a few months ago, and have been meaning to learn how to make it ever since. I was a little bit nervous at first at the amount of peanut butter and cayenne pepper this recipe calls for - but it all came together and created one incredibly rich, creamy soup with a nice spicy kick that was not too overpowering (that said, I like spicy foods - so consider reducing the cayenne to 1 tsp if you prefer things milder!). The sweet potatoes add a nice earthiness to the flavor as well. EDIT: The giveaway has now ended, congrats to Janet, the randomly-selected winner! That soup looks amazing, would love to check out this cookbook. Favorite recipe of all time? Tough one! I'd have to say my own vegan mac & cheese with a cheese sauce made of Daiya & FHY cheeses. I've never tried peanut soup. Should be fun to create at home! I've wanted to try out peanut soup forever! I've always loved unusual soups. My current favorite is roasted sweet potato and leek soup. Divine. Tough question but Dal bhat is most often repeated. Really hard! But I've been loving my marinated tempeh so much lately that I'm gonna go for it! The marinate is my all time favourite: soy sauce, wine vinegar, garlic powder, pepper and a touch of dried oregano. Did you ever visit Strictly Roots in Harlem before it closed (a couple of years ago)? Vegan 'soul food'… that place was GREAT- I would love to know if they ever opened up somewhere else!